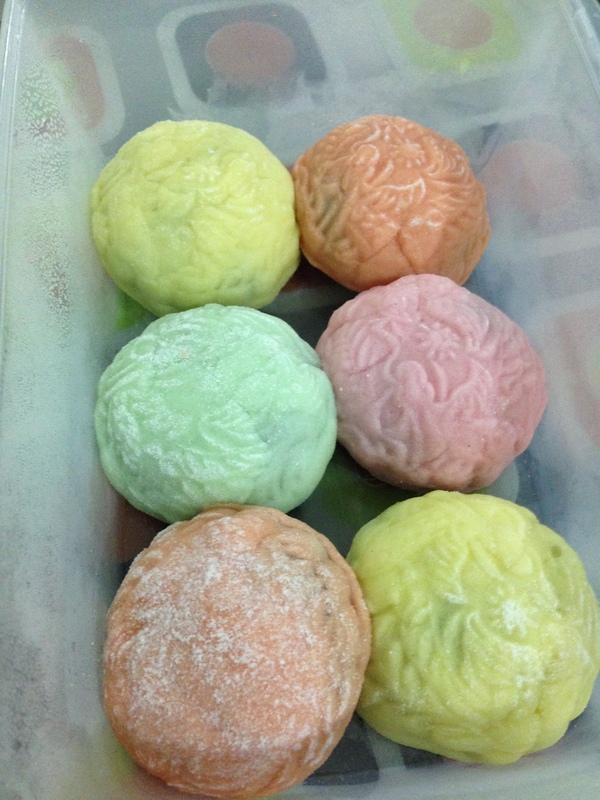 It was quite a last minute decision I made last Friday to make snowskin mooncakes on Sat. 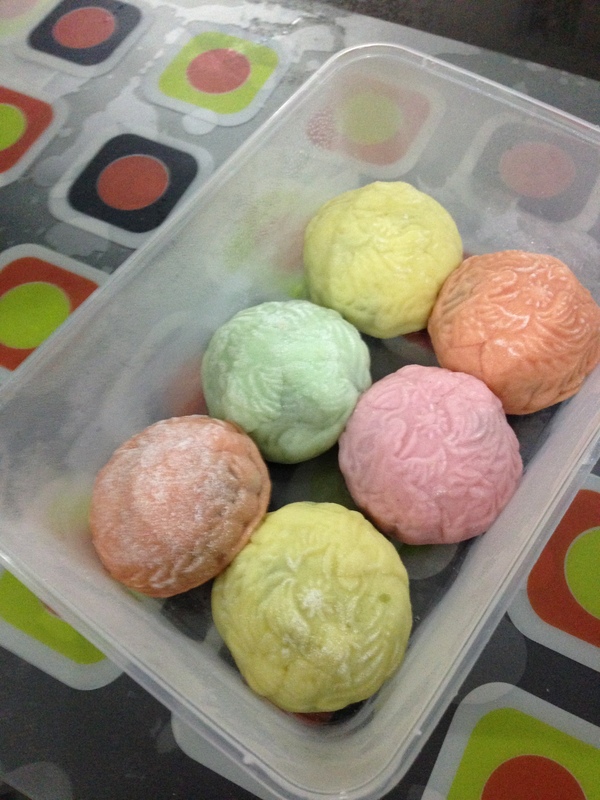 I love snowskin mooncake! Happen to chance upon snowskin mooncake recipe and it looked relatively easy with no baking involved. So on Sat Friday evening, before I picked Daniel, it was a rush to get all the necessary ingredients. However, I could not get the mooncake mould as most of them were sold out and I did not like the few that were left. Anyway, I just prayed that God will provide the mould somehow and lo and behold, when I went to my Anne’s place for cell group that night, I realised she had one her mum had passed her which she does not use and so she passed it to me. How good is God! I invited my sisters to join me and Adora came over on Saturday afternoon. Due to the quantity of filling we had, we had to make around 40 small mooncakes. It took us about 3 hours! I certainly did not expect it to be so tedious. Making snowskin mooncakes are not difficult but tedious especially since we were making 40 small ones. Had to individually weigh the dough and paste, roll out the dough, wrap the filling and put it into the mould for each mooncake! Am I glad my sister came over to help! Nonetheless, am happy that the mooncakes turned out quite all right though there were some flaws. Glad to have the experience of making mooncakes – a first for me. 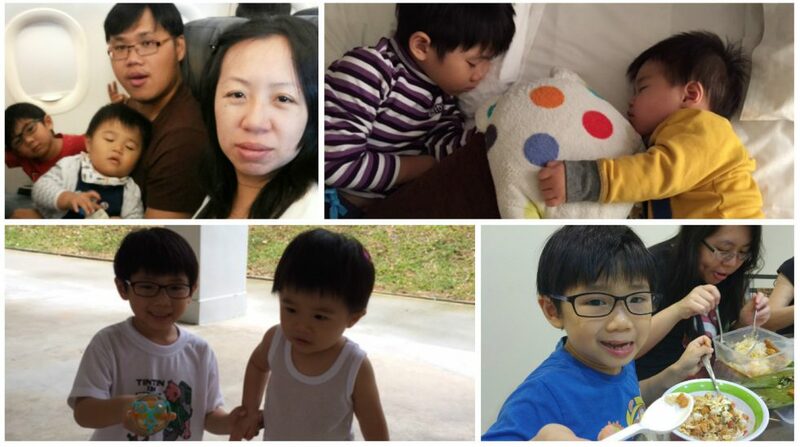 Will try to improve on them next year and also try the baked mooncake next year! This is the recipe which I saw and could not resist trying it out!